Participated in by more than 40 kids and community members, Team Swift 1.2 Philippines conducted its first outreach program last August 12 in partnership with the No One In Need Movement held at San Diego Restoration Village in Valenzuela City. 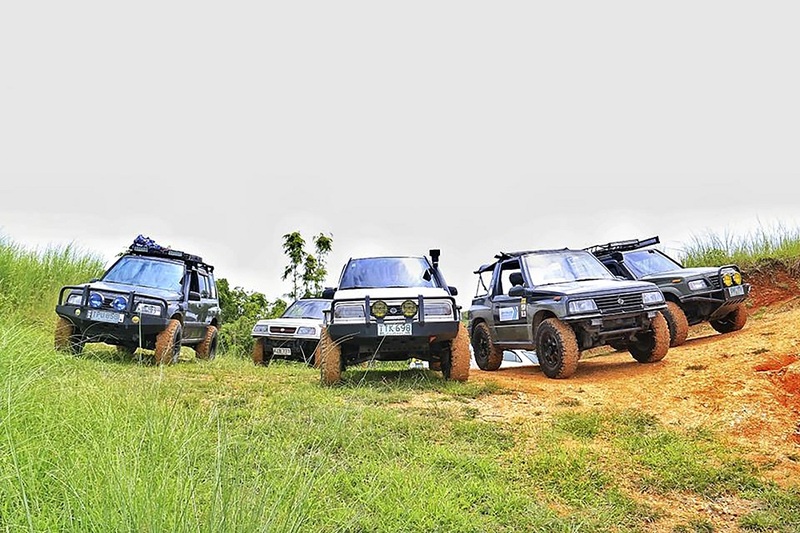 Pioneer compact car distributor Suzuki Philippines (SPH) supports the series of activities organized by several car clubs from the growing Team Suzuki Philippines (TSP) family. 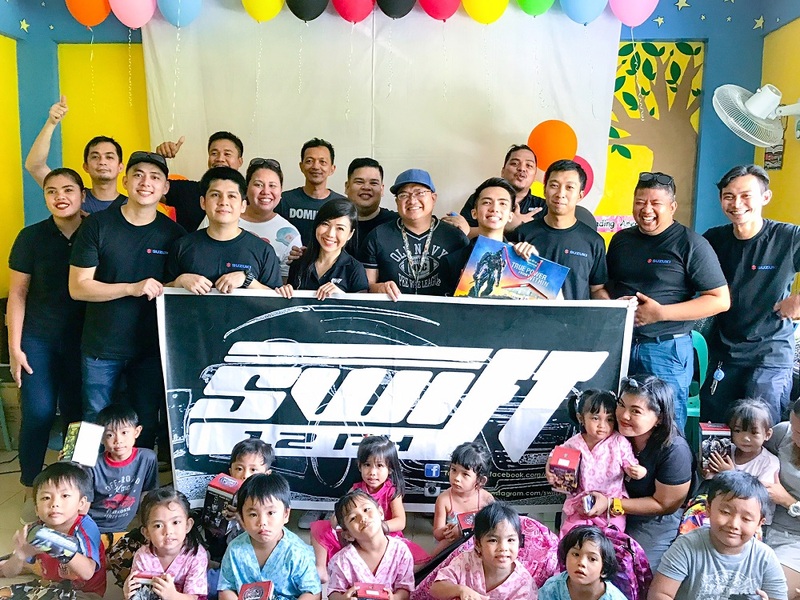 Accredited car clubs Swift 1.2 Philippines and Vitara Club of the Philippines recently held outreach programs in support of their respective Suzuki vehicles and as part of efforts to reach out to more communities and create a positive impact. Swift 1.2 Philippines conducted its first ever outreach program last August 12 in partnership with the No One In Need Movement. The activity, held at San Diego Restoration Village in Valenzuela City, was participated in by more than 40 kids and community members, who joined the games and program that included singing, drawing and dancing. Prizes were given away to the delight of the kid attendees. The event mirrors the club’s mission to strengthen camaraderie among its members. It also supports Suzuki’s commitment to give more Filipinos a better understanding of the Suzuki Way of Life. “We would like to thank Suzuki Philippines for the support they have given us in making our first outreach activity possible. We at Swift 1.2 were brought together two years ago by our love and support for Swift. Over time, we realized we have more things in common. Wanting to touch other people’s lives and make a difference is among them. We are definitely excited to do more of this in the future,” shares Swift 1.2 Philippines officer Argel Lapuz. Established in 2015, Swift 1.2 quickly expanded over a span of only two years. It currently comprises more than 500 members and is expected to continue growing in the years ahead, a reflection of the success of Suzuki’s most famous hatchback. Equipped with a stylish and elegant façade, Swift continues, without a doubt, to earn favorable market response. 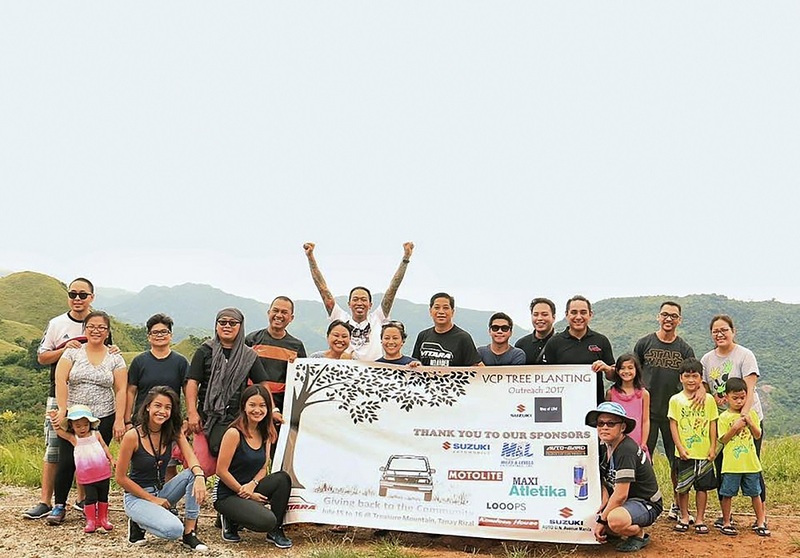 Attended by more than 50 Vitara Club of the Philippines (VCP) members and their families and friends, the tree-planting activity was capped off by an overnight fellowship where each was able to share food, laughter, stories and experiences that make the VCP family even closer. VCP recently held a tree-planting activity at the Treasure Mountain in Tanay, Rizal. The event, which was attended by more than 50 members and their families and friends, was capped by an overnight fellowship. The participants bonded during the camping, sharing not just food but laughter, stories and experiences as well to make the VCP family even closer. “As the oldest car club of Suzuki Philippines, we would like to show our sincerest gratitude to the company for their continued support. This year’s tree-planting activity not only provided an opportunity to help the environment but also allowed us members to take some time off our usual routines and bond. We are definitely looking forward to a more fruitful relationship among the VCP members and with Suzuki Philippines,” VCP President Mike Borja said. Unlike the Swift 1.2 that comprises mostly young professionals, the VCP is made up of athletic and adventurous individuals. It currently has more than 550 members. “To Team Suzuki Philippines, we are most grateful for the support you have given the company. You have for many years now continued to work with us amid our heightened efforts to bring our vehicles to more Filipino homes and make Suzuki vehicles every Filipino’s most-trusted companion. Your team spirit has always inspired us—and will continue to inspire us—to forge ahead and gear up for more milestones and successes,” Suzuki Philippines General Manager for Automobile Mr. Shuzo Hoshikura shared. VCP recently held a tree-planting activity at the Treasure Mountain in Tanay, Rizal.